Monday Night at the Movies presented by Alamo Drafthouse Cinema and in partnership with The Durham Museum! Free and open to the public. Blankets and chairs welcome. Despite only co-starring in two films together, it's pretty easy to think of Paul Newman and Robert Redford as a deeply entrenched pair. The two established in a short time the type of chemistry some franchise co-stars spend sequels trying to cultivate. 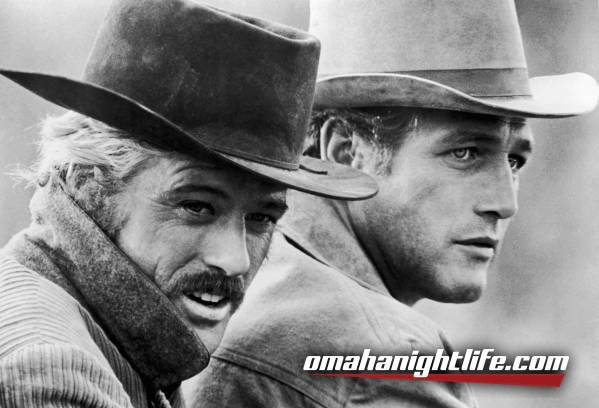 As a pair of outlaws, dedicated to each other as they were their desire for riches, Newman and Redford perfectly compliment each other. Amiable nice guys who just happen to wield guns, the two are the nicest criminals you could ever hope to find yourself in a standoff with. 1969's BUTCH CASSIDY AND THE SUNDANCE KID was originally offered to Jack Lemmon, who turned down the film due to a dislike for riding horses. Instead, the script landed in the hands of Paul Newman, whose film COOL HAND LUKE had been produced by Jack Lemmon's production company a few years earlier, and Steve McQueen, who dropped out due to a disagreement on top billing. With McQueen out of the picture, the search for a co-star for Steve McQueen began. While Paul Newman was a star by this point, his eventual co-star Robert Redford was slightly less known. Slow-spoken to the brash Newman, the actors brought much of their own personality to the characters, as portrayed in writer William Goldman's script. BUTCH CASSIDY AND THE SUNDANCE KID is an insanely likable, breezy film with sharp, clever dialogue that brings a contemporary style to the Old West.